Update: This Prairie style residence that was listed for $1.6 million has since been sold and is no longer on the market. Update: This home has been sold and is no longer on the market. Built from 1908-1912, the Avery Coonley House is considered one of Frank Lloyd Wright’s most elaborate Prairie style designs. It is also the first time Wright designed what he referred to as a “zoned house,” a home in which the rooms were divided based upon their functions. The two-level, five-bedroom, five-bathroom home is now on the market, and and the home’s listing agent says it has been carefully maintained. Rows of Wright’s iconic art glass windows frame the rooms, overlooking an acre of land. A one-story house designed for the prairie, with the basement entirely above ground, similar to Thomas, Heurtley, and Tomek houses. All rooms, except entrance hall and playroom, are on one floor. Each separate function in the house is treated for and by itself, with light and air on three sides, and grouped together as a harmonious whole. The living rooms the pivot of the arrangement, with entrance, playroom, and terraces below, level with the ground, forming the main unit of the design. The home is located at 281 Bloomingbank Road, Riverside, IL 60546. For more information about the home and the sale, visit the listing on the Baird & Warner website. All photos via Baird & Warner. Many of the Frank Lloyd Wright Store’s products are inspired by the art glass windows of the Avery Coonley House. 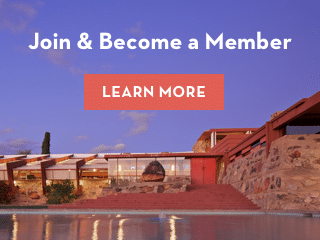 Browse the array of products and shop now at the online Frank Lloyd Wright Store.